Congrats to Rebecca on winning the Goldsmith Scholarship!! 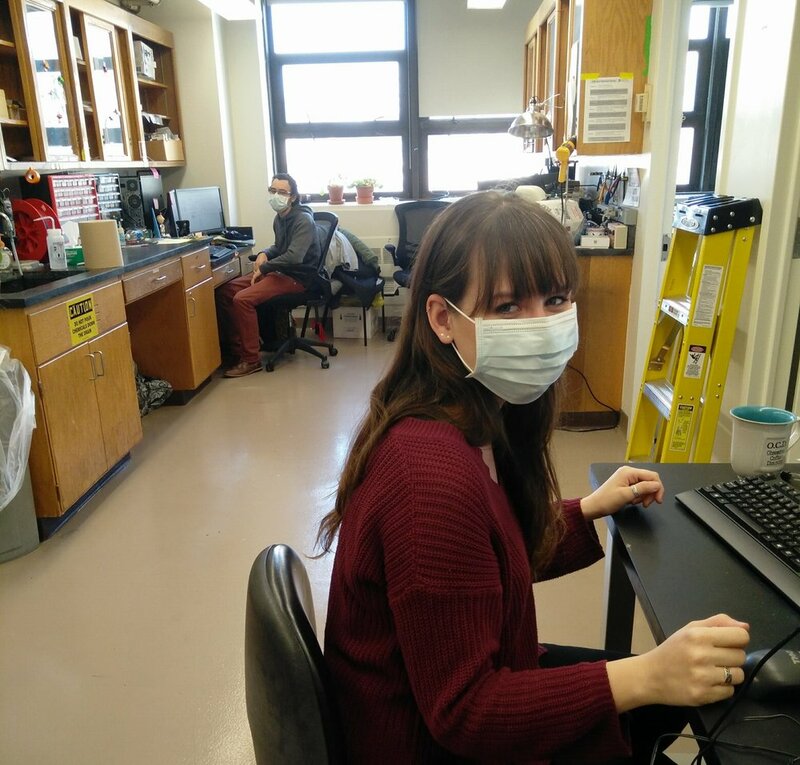 Danielle is finishing her work in the lab and will be starting dental school at Rutgers in the fall. Congratulations! There will be an all-day symposium on myelin and glial cells at our Advanced Science and Research Center (ASRC) on the upper west side. Lots of great speakers and the latest insights into myelin and glia. 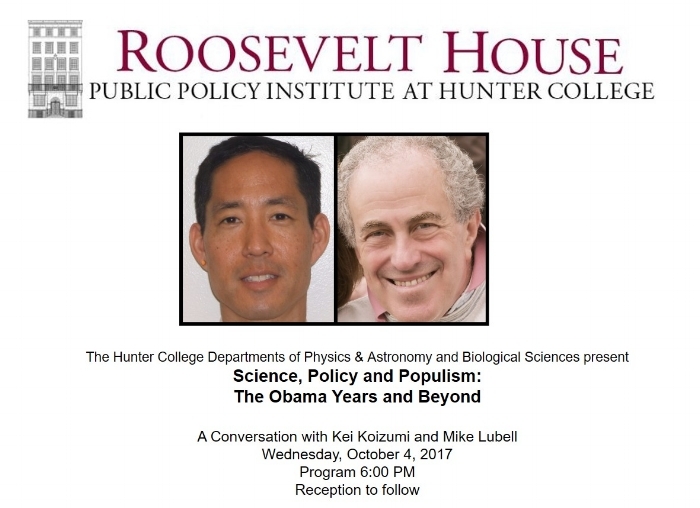 Kei Koizumi and Mike Lubell will lead a conversation at The Roosevelt House Public Policy Institute at Hunter College on the subject of threats to and opportunities for the science community in 2017. Oct.4, 6pm. RSVP here. Kei Koizumi is a former Assistant Director for Federal Research and Development and Senior Advisor to the Director for the National Science and Technology Council under President Obama. Dr. Mike Lubell directed the Washington DC Office of Public Affairs of the American Physical Society for 22 years and is the Mark W. Zemansky Professor of Physics at City College, CUNY. Dr. Lubell is a Fellow of the American Physical Society and of the American Association for the Advancement of Science. The Roosevelt House: 47-49 East 65th St., between Park and Madison Ave.
Next week I will be at the Gordon conference on the amygdala, presenting our new work on circuits involved in threat and safety. Here we detail, step by step, how to perform multi-site electrophysiology and circuit-level manipulations during behavioral tests of anxiety. We discuss using 3D-printed parts for an implant, the designs for which you can find in the Tools section of our site. Our News and Views piece discussing two new papers, one from Ofer Yizhar's lab (Klavir et. al. ), and one from Kay Tye's lab (Burgos-Robles et. al.) is out in the June issue of Nature Neuroscience. Both groups looked at amygdala driven encoding in the prefrontal cortex in conditions of high/low threat and reward. We will be presenting data at the Stress and Resilience Conference at Hunter. There is a fantastic speaker lineup plus data blitz and poster sessions. This promises to be a terrific day! (Sponsored by Center for Translational and Basic Research, Clinical & Translational Science Center, Weill Cornell Medicine, Hunter College School of Nursing, Cornell University Cooperative Extension in NYC, Memorial Sloan Kettering Cancer Center, Hopsital for Special Surgery). Congratulations Itzik on winning the BP-Endure Fellowship! Itzik will spend the summer in Dr. Michael Cooper's lab at Vanderbilt University studying the molecular signaling pathways of malignant glioma formation. We're looking forward to hearing all about it when you come back! Novel use of phage lysins to control bacterial infections.